Solution: Which of the following are valid ionic Lewis structures? Drag each item to the appropriate bins. 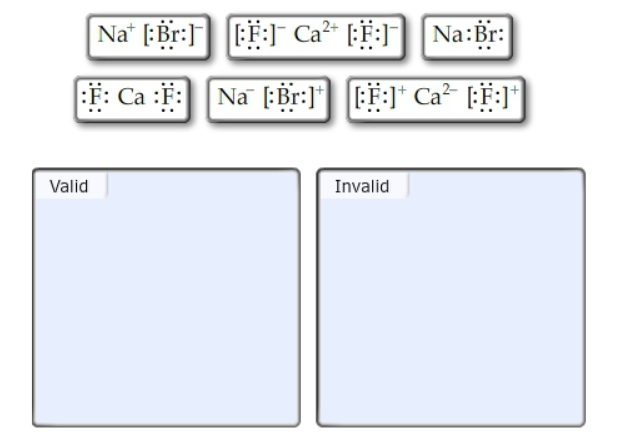 Which of the following are valid ionic Lewis structures? Drag each item to the appropriate bins.